Flea & Tick Control: Bravecto Or Nexgard? There is a vast amount of choice in the market when it comes to flea and tick control on your pet. Fleas can cause a lot of health problems in your pet so it is vital to use flea and tick preventatives regularly and all-year-round. The two most common forms of flea and tick control are topical (or spot-on) treatments and oral chewables. Oral chewables are becoming more popular in recent years, and two of the market favorites are Bravecto and Nexgard. Oral flea treatments take effect quickly, kill fleas and ticks successfully, and have a long-lasting impact. Also, compared to flea topical and spot-on treatments, oral chewables are easier to administer, since they generally come in a meat-flavored tablet that dogs love. There is no need to apply the treatment on your pet’s skin or to wait for it to fully dry before letting them get wet, or near young children or other pets. Both Bravecto and Nexgard are great flea and tick control products that kill fleas and ticks effectively. Deciding which product to use on your pet will largely depend on both your pet’s and your personal preference. As it is often difficult to get a cat to chew or swallow a tablet, chewables are often only available for dogs, and Bravecto and Nexgard are no exception. Both Bravecto chews and Nexgard chewables are only for dogs. However, it is important to note that Bravecto also has a topical treatment that can be used on cats. 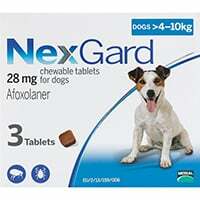 If you have a younger dog (at least 8 weeks old), you will need to choose Nexgard to kill fleas and ticks on your pet. Bravecto chews are available only for dogs that are at least 6 months old, and weighing at least 4.4 pounds. Deciding to use either Bravecto or Nexgard will also likely be based on how often you would like to administer the flea and tick treatment to your pet. Bravecto is a 12-weekly (or three-monthly) treatment, while Nexgard will need to be given to your dog monthly. While both Bravecto and Nexgard are highly effective in killing fleas, eggs and larvae, the time with which it takes for either product to work differs. Bravecto starts to kill fleas in 2 hours while Nexgard will kill 100% of fleas within 24 hours. 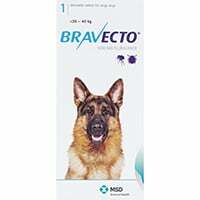 Bravecto and Nexgard are both excellent choices to kill fleas on your pet and your decision on which one to use will largely be based on how often you would like to administer the treatment on your pet, how much you are willing to spend, and how quickly you want the treatment to take effect. If you are trying to decide on flea treatment product on your pet, it is possible you are facing an infestation and trying also to get rid of fleas in the house. Remember to thoroughly clean every nook and cranny of your home, and check your yard as well for fleas. And while spring may be when you start to notice fleas on your pet, remember that they can also get fleas in winter. Use Bravecto and Nexgard regularly (either three-monthly or monthly) to ensure the flea treatment doesn’t stop working and protect your pet from fleas and ticks.